If you see a hair style you would like Stan or Lydia to create for you, print out a page from the hair style album and bring it in to the Vasile's. 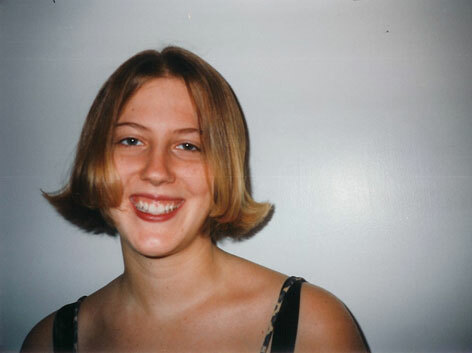 They will be able to solve your difficult hair problems or create a new look for you. The Suzanne Sommers look is still very attractive. Both Stan and Lydia take extra care with especially fine hair. 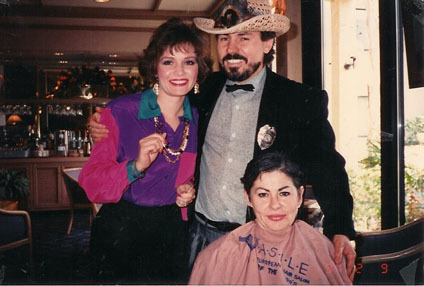 Stan Vasile stands between two recent hairstyle creations. Stan and Lydia carefully evaluate your hair's conditions to determine the best cut that will suit your features. Long hair is still in style and can be styled with highlights or more "feathered" cuts. The "dip-do" look enhances the faces features. The Vasile's can help decide the best hair style that suits your features. An example of balanced blonde hair highlights with a short, but sporty cut. In the background is a painting of the Vasile's daughter Maria. To get the hair style you see in these pages, print out a page from the Vasile's Hairstyle Guide and bring it to your next visit with Stan or Lydia Vasile. Even red hair can take on an exciting new look. The Vasile's style is to make sure your style fits. 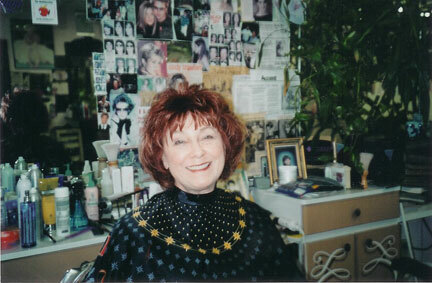 Stan and Lydia Vasile specialize in creating a European hair style for all kinds of hair. The Vasile's have been caring for hair throughout the world with European hairstyling that achieves hairdos to fit your face, hair type and lifestyle. 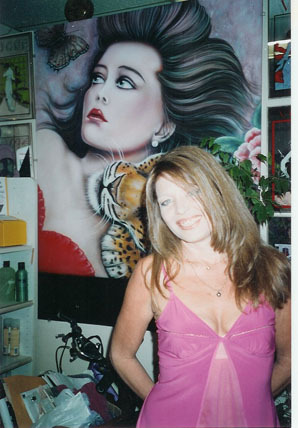 The Vasile Salon was named the 1998 Consumer Business Review's Award Winning Hair Salon Styling Artist in Arizona for 1998. 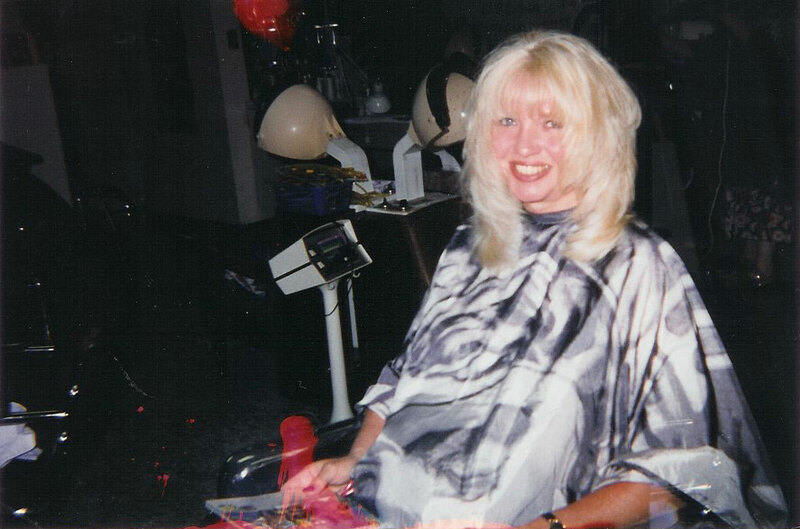 In 1995, the Vasile European Hair Salon was chosen as the finest salon in America. Stan Vasile has studied hair design techniques in France, Romania, Germany, Italy, Japan, Austria and Great Britain. He has also won many European medals for his techniques. See more hair styles and prom cuts from Vasile. ©1998-2009 Vasile/EMOL.org. All rights reserved.